Mob Arena Battles 3 is a map for Minecraft PE, on the territory of which you are waiting for an PVE battle (players against mobs). We recommend you to assemble a team of a maximum of 5 people and will adequately fight in this arena of the world MCPE. Of course, you can fight alone, but it will be quite difficult. 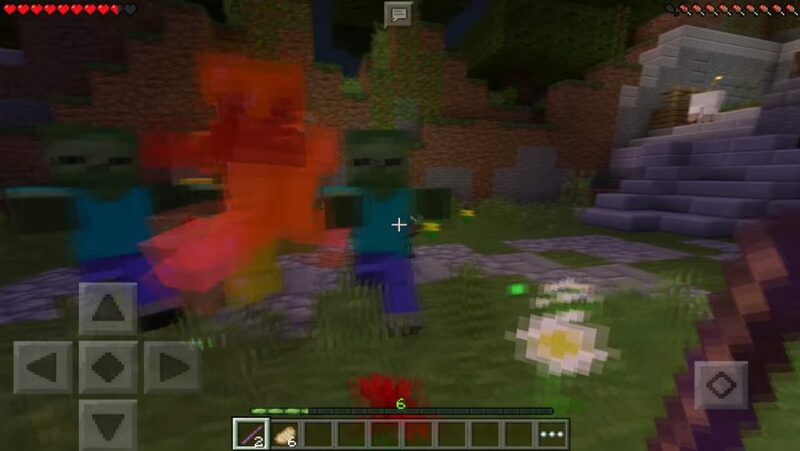 At the moment, you are waiting for 2 levels with 10 waves of mobs in each. Future updates will include 5 levels, with a total of 50 waves of mobs! If you want to improve your fighting skills for a long time, this map for Minecraft Pocket Edition will suit you perfectly! And besides, you can just have a good time with friends! The first thing you have to do is choose a class. 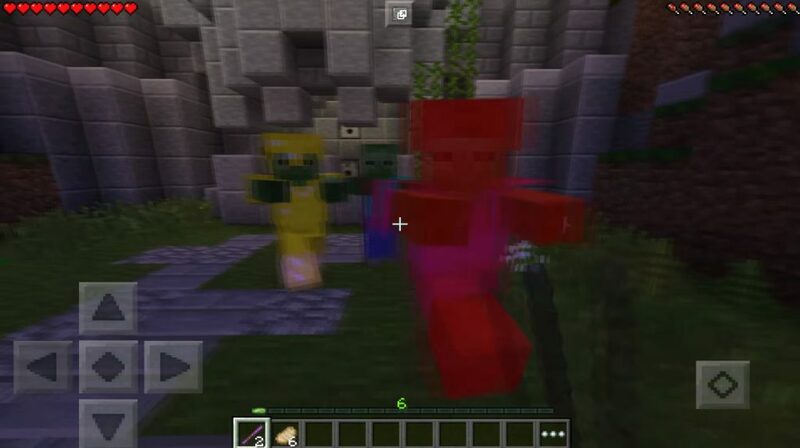 There are four different classes, and each of them in Minecraft PE has an individual set of armor, weapons and food. 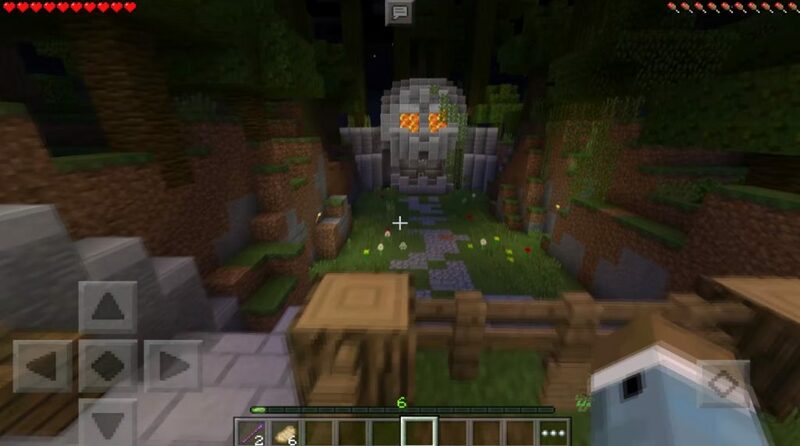 As soon as you have entered the territory of this arena of the world MCPE, you need to find a button on the wall and activate it in order to launch the first wave of mobs. Each wave becomes a bit more complicated than the previous one. At the moment there are two levels, but in future updates there will be more. In the game lobby you can automatically discard the map.